IMEC (Illinois Manufacturing Excellence Center) shared that the best way to get started down the road to becoming lean is doing a simple “self-assessment” walk. Without a full kaizen event, they suggesting going to the shop floor, the engineering area, the production control and order management department and pick a product family from the customer end of the value stream. These areas represent opportunities – long lead times, frequent set-ups, long set-ups, significant work-in-progress dollars, critical work centers, flow bottlenecks, capacity constraints, key customers, large inventories, and competitive products. Topper Industrial is constantly looking for systematic approaches to identifying and eliminating waste (non-value added activities) through continuous improvement, allowing product flow. 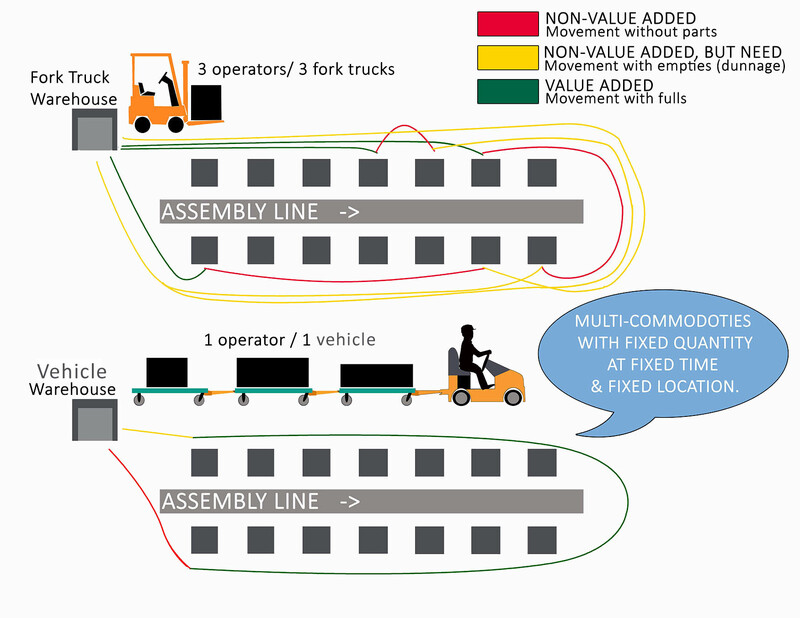 Eliminating non-value added activities from processes while streamlining value-added activities defines lean manufacturing. Any activity that fails to add to form or function of the product (things for which the customer is willing to pay) is a non-value added activity, or the “wastes” that lean seeks to eliminate. Interestingly, many manufacturers don’t even recognize some of these as “wastes,” but simply necessary to conduct business. This is probably the most deceptive waste. It simply is making more product earlier and faster than the next process requires. In all cases, overproduction leads to unneeded inventory. Overproduction usually is deliberate to cover up quality deficiencies, equipment breakdowns, inadequate employee training, long process set-up, and unbalanced workload. This waste is any supply in excess of a one-piece flow through the process, including work in process and finished goods. Holding inventory costs money – roughly 25 percent of the value of the inventory if held for a year. This is a major waste that includes material, labor, machine hours, inspecting, sorting or rework. Its causes can be inadequate training, weak process control, deficient maintenance and/or incomplete engineering specifications. This waste is effort that adds no value from the customer’s viewpoint. It can include extra or incorrect inspections, extra copies of paperwork and over or redundant processing “just-in-case.” Expediting processing because of failing to meet schedule also is a waste. Moving materials in the manufacturing process can add costs, but no value. Not only does the act of transporting add to costs, it also typically involves using expensive equipment. Further costs are space, racking and the people and systems needed to track the material. This includes all idle time, such as waiting for parts from up-stream operations and waiting for tooling, set-ups and instructions. Waiting for workers generally is of greater concern than machine use. Any people and/or machine activity that doesn’t add value to the product is considered waste. Its symptoms include time looking for tools, extra product handling, walking and product arrangement, stacking, etc. Causes include poor plant layout and workplace design, inadequate training, weak processing and constant schedule changes to reduce on-time delivery problems. Factors such as company culture, hiring practices, management styles, turnover rates and morale all contribute to this waste – not using employees’ abilities to their fullest potential. Ryan Brown and siblings head the next generation of Topper Industrial.